Nick sent out a pretty epic tweet last night. 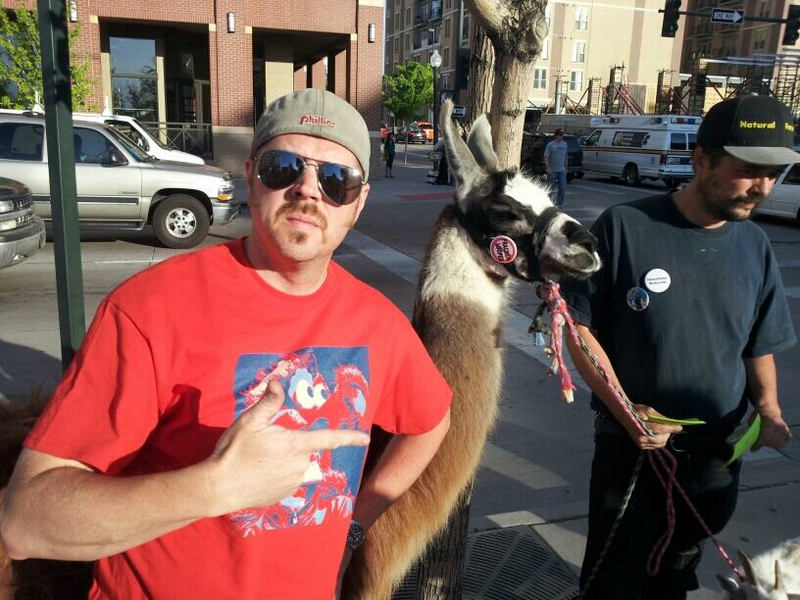 It read, "When you wear a ZWR shirt to see the Phillies at Coors Field you get to meet a llama." Yes, please. Of course he included a picture and, sure enough, there was a llama in it. And what appears to be a goat. Like, on the streets of Denver. At an intersection. Across from some residential construction. I don't even ... yes, please.